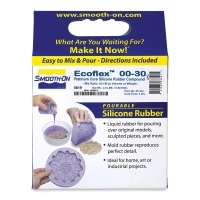 Smooth-On Ecoflex is a platinum-catalyzed silicone that is versatile and easy to use. 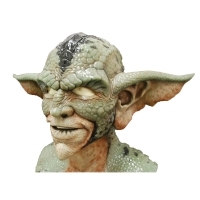 Available in two varieties, 00-30, and 00-35 Fast, Ecoflex is suitable for a variety of applications such as cosplay, special effects applications (especially in animatronics where repetitive motion is required), and for making prosthetic appliances and orthotic/orthopedic devices. Certified skin-safe, both products are mixed 1A:1B by weight or volume and cure at room temperature with a minimum of shrinkage. The cured rubber is very soft, very strong, and very stretchy, stretching many times its original size without tearing, and rebounding to its original form without distortion. 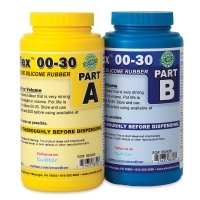 Both 00-30 and 00-35 can be color-pigmented with Smooth-On Silc Pig silicone color pigments. Ecoflex 00-30 has a pot life of 45 minutes, a cure time of four hours, and a shore hardness of 00-30. 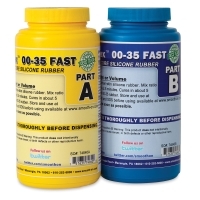 Ecoflex 00-35 Fast has a pot life of 2-1/2 minutes, a cure time of approximately five minutes, and a shore hardness of 00-35. 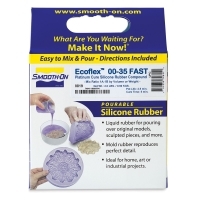 ™ Smooth-On is a trademark.™ Ecoflex is a trademark. ™Silc Pig is a trademark.